Choosing a Vuly accessory for Christmas: What's your ideal extra? A Vuly trampoline is a gift that keeps on giving. If you bought a trampoline last Christmas, you can make it fun in a whole new way with an official Vuly accessory. Maybe you just want to make this year’s Vuly trampoline gift even more special—add in a Mister or Deck, and it will be! We've spoken about what makes the ideal Vuly trampoline for you, but with Christmas day only a few weeks away, we wanted to apply our ‘Christmas Present Lens’ to the most fun accessories in our range to help you pick the perfect one. Christmas isn’t just exciting, it’s also hot. 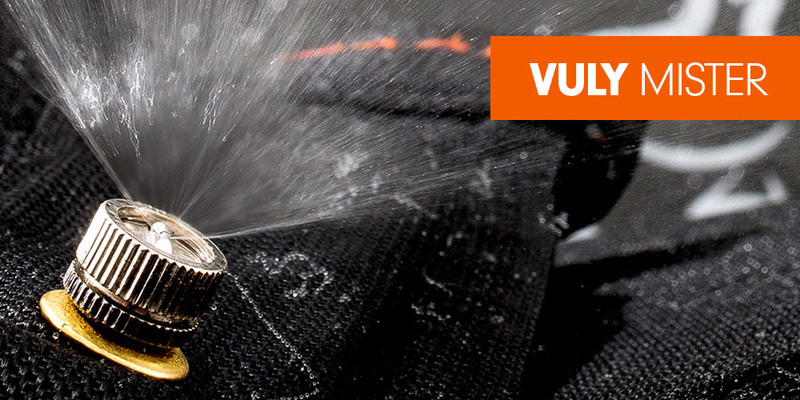 Vuly’s Mister accessory turns your Thunder Summer, Vuly2 or Classic into a fun, water misting machine! Mister features a switch that your kids can control from inside the trampoline. Just turn on the tap, and they’ll make their own wet and wild play. If you’re looking to get your kids back out into the backyard, but are struggling because of the temperature, Vuly Mister (for $79.99) is for you. Just remember to wear sunscreen and a hat! This one’s a present to yourself and your backyard! Gardening and mowing around your Thunder can be a bit difficult with such a large frame. Make it easier for yourself, or change up the scenery in your slice of paradise, with Thunder Wheels! Easy to attach and ergonomic to use, Thunder Wheels are the blessing that you didn’t know you needed. If you want an incredibly handy way to move your Thunder Summer, so that you can rescue that patch of grass underneath or reshape your whole garden, Thunder Wheels (starting at $79.99 for Thunder Summer M) are for you. A classic accessory, and still one of our favourites: the ultra-fun Basketball Set. Sold pre-assembled and with a free ball and pump, Vuly’s Basketball Set is ready for play on Christmas day. They’ll feel like pro ballers when they score off the rebound, and you’ll feel good knowing that they’re getting some first-class exercise. 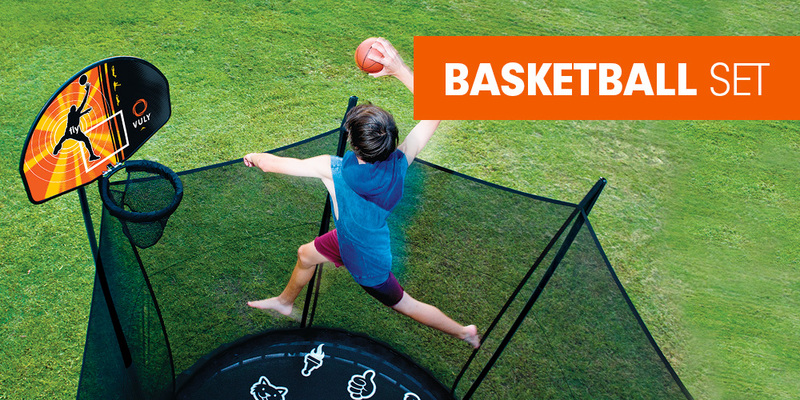 If you want a great way to help boost your child’s balance and coordination, while keeping them immersed in fun for hours at a time, Vuly’s Basketball Set (for $149.99) is for you. Ollies, manuals, shove-its: a Vuly Deck can help your child learn all of these impressive tricks. Vuly Deck is coated in soft foam and safe for practise; the only things missing compared to a real skateboard are the wheels. You could open the door to a hobby or passion that your child will pursue for years to come! If you want a way to nurture the pro-skater within your child, but in a safe and secure environment, a Vuly Deck (for $79.99) is for you. The fun doesn’t stop with a Vuly trampoline; one of our fantastic accessories could make your whole set-up new again! What will you be getting for kids this year?